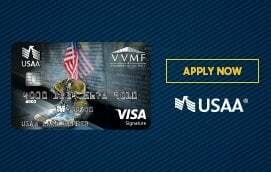 Washington, D.C. – The Vietnam Veterans Memorial Fund (VVMF) is proud to announce a major milestone. Through its Wall of Faces effort to collect a photo for every one of the 58,318 names on The Wall, fewer than 3,000 are now needed to complete the project. The last two photos submitted to VVMF were U.S. Army Pfc. Roger L. Carpenter of Columbia, South Carolina and U.S. Army Pvt. Archie L. Nelson of Delray Beach, Florida. The submission of these photos brought the Wall of Faces count to exactly 3,000. These are also the first photos to be submitted for both service members. VVMF thanks the hundreds of volunteers around the country who have been instrumental in locating these photos. Because of their tenacious effort, more than 55,000 photos of service members who sacrificed all in Vietnam have been found and posted to the Wall of Faces.